Rhino Technologies offers a range of Internet design, website marketing and computer consulting services at competitive rates. Smart business owners have turned to the Internet to gather leads, make sales, and build relationships with customers. Rhino Technologies works with those business owners to design a custom website to suit their needs and to meet their goals. Rhino Technologies is an Internet marketing machine. Rhino Technologies will research your business and products in relation to the Internet market. We will create a marketing strategy to leverage the best areas of the Internet and literally drive targeted traffic to your electronic storefront. Typically, a Rhino Site is easy to read, fast loading, easy to navigate, and will not wipe out your budget to create. It is our driving desire to give each client a quality product, an added value, and measured results with customer service that is nothing short of excellence. Rhino Technologies has been professionally consulting and advising in the computer industry since late 1986. The head rhino created his first web page professionally in 1995. At the time, this page was state of the art. My, we have come a long way since then. Now, low-cost server based applications allow us to build you a full content management system which other companies will charge you well in excess of $35,000 for an almost identical set of features. Rhino Technologies is located near Carbondale, Illinois but available to travel and able to create a Rhino Web Site for you regardless of your location. Rhino Technologies might be interested in a joint venture with your company. 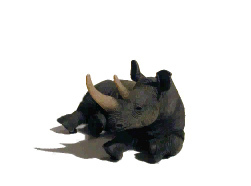 Consider letting a Rhino handle all the electronic aspects of your business for a comission. You ship more product. Rhinos are always willing to talk and take on a new challenge. Our goal is to stop at nothing to give you a great website. And if you think about it, Nothing Stops a Rhino! You can view some previous work or move on to the next step in getting a Rhino Site.